Enjoy this collection of Little Thoughts, accented with nature, to reflect on when days loom large and obstacles seem to overwhelm your path. When the many hats you wear seem not enough and the journey ahead impossible, this collection will lift and encourage. It will refreshen and strengthen your weary, worn heart and your beautiful soul. 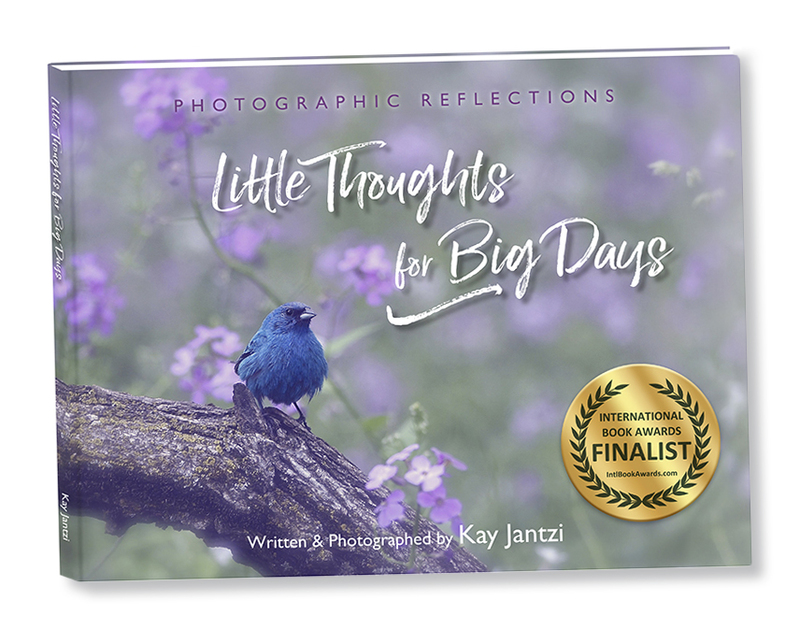 Award-winning Little Thoughts For Big Days is a gift book, designed to lift you into God’s presence through His astounding creation and His Word. I’m the Pastor’s wife, the mother of four and a follower of the one true God of the Bible and the living Christ, living in the hope and anticipation of His glorious return. I don’t know about you but I’m forever thankful for God’s grace that holds me together daily, when things go right and when they don’t. His sweet grace and deep, rich, unconditional love is like a warm hug of acceptance and an “Everything is ok” moment when the pain is deep and the failure overwhelming. Ahh yes, His grace is like a refreshing spring rain that washes away the dross, clears the conscience, forgives the sin, heals the hurt and warms the heart. I trust you’ve experienced it for yourself and truly know His tender and precious, forgiving grace! He is an awesome God, brilliant in His creativity! I love to see how He works in the lives of His people as He forgives, cleanses, renews and reconciles them to His Father. I love to see how He turns our rags to riches and intertwines His golden threads of grace, through our failures to make them something beautiful for His glory. That’s what He does! I love how He does it! There are currently not any Little Thoughts For Big Days Book available.